Sometimes, having a coffee grinder isn’t actually enough. Not even having a “good enough” coffee grinder is, well, enough. 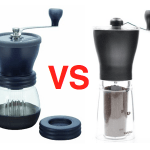 Sometimes, because of mighty cravings out of your control, you want a recommendation for a coffee grinder that is particularly adept at making a certain style of coffee beverage. For example, you may be wondering: What, pray tell, is the specific best coffee grinder for making lattes, or macchiatos, or perhaps cappuccinos? Each of these drinks have their specific devotees, and we also know that not all coffee grinders are meant to excel at every type of drink imaginable. Some are particularly good at grinding for lattes, while maybe not so much for cappuccinos. 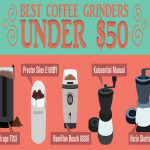 Well, if you are looking for a coffee grinder / espresso maker that excels at one of these three drinks, look no further, as we have a selection of both solo grinders and grinders with coffee makers attached, to suit your needs when deciding on the best coffee grinder for lattes, macchiatos, and cappuccinos. As obviously the basis of these drinks is a perfect espresso, we will be looking mainly for grinders that can cater for the fine grinds needed for this. Additionally, for anyone looking to purchase an all-in-one, there will be a recommendation of a coffee machine that delivers whichever drinks style it is you are in need of. However, before we move on to the reviews, we will discuss each of the aforementioned brews. We will explain what is the best way of making them, what ingredients you need, and what coffee maker or coffee grinder will help you make a perfect cup of your favorite brew. How to make a perfect latte? What makes a perfect macchiato? How to make an amazing cappuccino at home? We will start by explaining how to make a perfect latte. Latte is nothing else than milk with coffee. This type of coffee originates from Italy, where it is called cafe latte. Many coffee lovers prefer latte over other types of coffee because the coffee content in latte is very diluted. The frothed milk layer in latte allows you to create beautiful drawings. When it comes to making a perfect cup of latte, the most important thing you need to do is to use coffee beans made especially for espresso pulling. You need to adjust your grind size settings to the finest option available. In other words, you want to achieve the fineness that resembles salt. 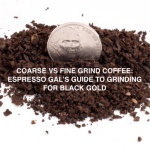 Fine grind is the most common grind size you will come across. Most packages of pre-ground coffee are a fine grind size. This grind is very consistent and uniform which lets you extract the most from your coffee. However, it is worth mentioning not all coffee grinders and machines can achieve this fineness. But, don’t worry! We got you covered! 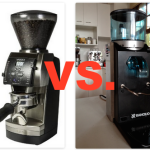 We review Breville BES870XL espresso machine and Breville Smart grinder. These machines will help you become an expert when it comes to making lattes. 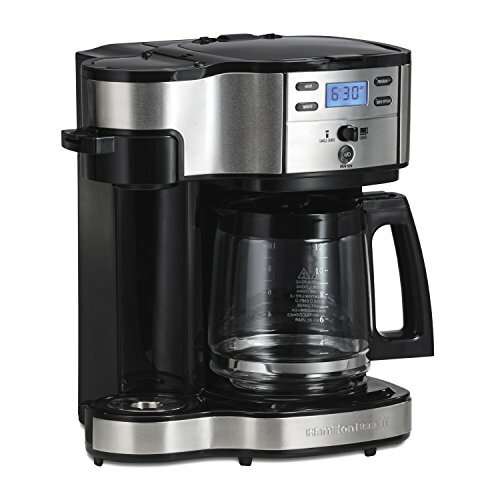 Next, we move on to Breville BES870XL and Breville Smart reviews. The Breville BES870XL espresso machine has a built in grinder and it is a great choice. Here are its stats. 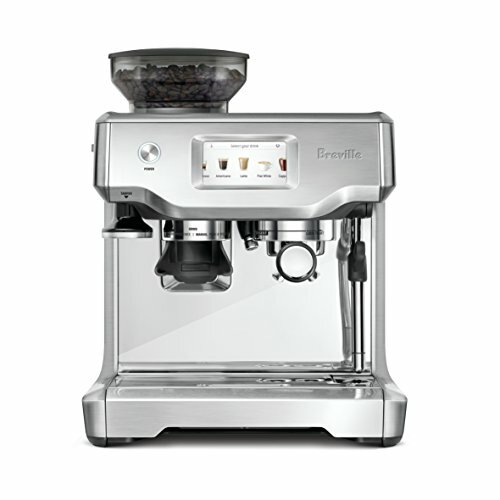 The Breville BES870XL offers users the complete package as an espresso / cappuccino / latte lover’s dream. 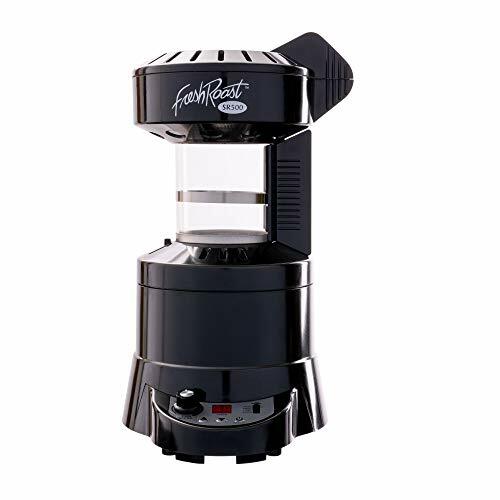 Rest assured, if you are looking for the best coffee grinder for latte, you are in good hands here with this 2-in-1 espresso maker and coffee grinder. This is a quality grinder combi latte maker that can do more. At around $600, it doesn’t come cheap, but for something like this, it is unlikely to come any cheaper. Managing to combine being a latte loving heavyweight with also not overwhelming your work surfaces, this machine is like having a mini coffee shop in your kitchen. Capable of the finesse needed for the smoothest lattes, we reckon if you are going to go the whole hog and want a three in one coffee maker with grinder, this is a serious contender. Now, if you wanted just a coffee grinder, then there’s the Breville Smart Grinder. Boasting twenty five grind settings, making it fully capable of first rate espresso for latte, this is definitely one of the best grinders for making a latte out there. Now Breville have also got a similar machine called the Smart Grinder Pro, which retails for a few dollars more and does an impressive sixty grind settings. If you are into playing around with your grinds, this may be worth consideration, but the twenty five this little fella comes with should be more than enough to satisfy your latte longings. The macchiato is simple type of coffee that takes its name from the Italian for “spotted” or “stained”. This means the literal translation of macchiato is “stained coffee” or coffee with a spot of milk. The ratio of espresso coffee to milk in macchiato is greater than in any other type of coffee. Why so small amount of milk you wonder? Well, it’s all about taste. Thanks to a small amount of milk, the espresso flavors and aromas are not overpowered by the milk. If you are looking for a guide on making a perfect cup of macchiato, you’ve come to the right place! First, foam some milk in the milk jug. Remember! You only need milk foam. Next, you need to brew a single or double espresso (as per taste). 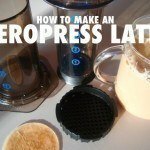 Brew it directly into an espresso cup or espresso glass. Next, you need to release any air bubbles form the milk. To do so, gently swirl the milk. 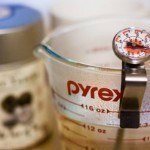 You can also gently tap the milk jug against a counter to remove any remaining stubborn bubbles. The last step is to slowly pour a small amount of milk foam on the top of your espresso. Voila! You’ve just made a perfect cup of macchiato! Just like for latte, you will need fine ground coffee to make a great macchiato. As we’ve said, a macchiato is an espresso with milk foam. As the best espresso is made from finely ground coffee, you will need a coffee grinder or an espresso machine that can be adjusted to grind fine grind size. Again, we have you covered! Juna Ena Micro 9 is an amazing grinder-espresso coffee machine combo that will help you make a erfect macchiato in a matter of seconds. You already have an espresso machine!? No worries! If you want just a coffee grinder that makes a great macchiato, then it’s the Capresso Infinity. Keep reading as we review both Juna Ena Micro 9 and Caspresso Infinity. Although they are fairly coy about the exact specifications of the grinder, the JURA ENA comes highly recommended as being a champion best coffee grinder for macchiato. Prepare lattes, macchiatos, espressos and cappuccinos at the simple press of a button. At a cool grand this is not going to be cheap, but if you can afford it and want one of the best macchiato experiences that money can buy, you don’t want to miss out on this. This scores highly with customers and will look sleek and elegant without taking up lots of precious counter space in your kitchen. Next, we review Capresso Infinity Coffee grinder. If you want just a coffee grinder that makes a great macchiato, then its the Capresso Infinity. So perhaps you already have a machine that makes mean macchiatos and just need a grinder to go with it. And also, you don’t want one that costs a fortune. Step forward the Capresso Infinity. Modestly priced, there are few burr grinders in this class that you will find produce the consistency and finesse of grind required for a truly superb macchiato. Already reviewed in full elsewhere on this site, this is a cool little number that can be put away when it’s not in use and is definitely practical rather than cosmetic (not that there is anything wrong with the way it looks). Definitely this is up there as a potential best coffee grinder for macchiato, that we can find. And all for less than $100! Last but not least, we talk about delicious cappuccinos. Hot to make an amazing cappuccino at home? 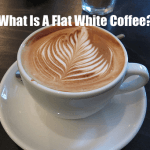 Before we go into making cappuccinos and reviewing the best coffee grinders and coffee machines for making them, we will discuss a bit more about this amazing brew. So, what’s actually a cappuccino? Well, we like to define a cappuccino as a drink of thirds – one third espresso, one third steamed milk, and one third milk foam. The foam in cappuccino should be around 1 cm deep, and should be pretty soft. If you try to push the foam with a spoon, it should not be so firm it stay stiffened up, nor it should be so soft that it spreads out and becomes runny. First you need to foam and texture the required quantity of milk. Please have in mind that you want more foam than steamed milk. Brew a single or double espresso (as per taste) directly into your coffee cup or glass. Next, gently swirl the milk in order to release any air bubbles. Again, gently tap the milk jug against a counter to remove any remaining bubbles. Now, slowly pour the milk over your espresso from a low height for a perfectly smooth drink. The last step is to give the milk a gentle ‘wiggle’ to ensure foam transfers from your milk jug to the top of your freshly made Cappuccino. That’s about it! You’ve made yourself a perfect cup of cappuccino! Making a cappuccino is almost impossible without a proper espresso, and a proper espresso is impossible without finely ground coffee. In order to make a perfect cup of cappuccino you will need either an espresso machine with a built-in coffee grinder that can produce fine ground or an independent coffee grinder capable of doing the same thing. Luckily for you, we are about to review both, Krups EA8250 espresso machine with a built in coffee grinder and Rancilio Rocky, a coffee grinder that makes your dreams come true. Are you ready to find out more about these amazing machines? On to delicious cappuccinos, and once again we will look at an espresso machine with a built in grinder, followed by a coffee grinder on its own. We shall look at the KRUPS EA8250. Boasting a nice and easy out of the box experience and ease of cleaning, fans of the Krups reckon this is in the same class as the more expensive (and aforementioned) JURA but without the inflated price tag. One of our current favorite best coffee grinder for cappuccino, this also has a hot water nozzle for other drinks, as well as very quick (two minute) brew time turn around. If you want the wow factor for cappuccinos without over doing the bank balance, this should definitely be on your list. If you just need a quality coffee grinder, Rancilio Rocky might be the best option for you. For a grinder to make a cappuccino, the best grind can be had by the Rancilio Rocky. First, here are the stats. Built like a tank and with an excellent reputation, this is something to give serious consideration to when choosing the best coffee grinder for cappuccino. Of course it will cater for all types of grind but some people think, however, it is best suited to the fine grinds required for an espresso. “Workhorse” is one of the descriptions you will hear if you have done any reading on the Rocky and this is an apt one, as it can take a demanding schedule and will not beg for mercy or shirk from duties should you wish to put it through its paces! Whether you plump for the doserless option is entirely up to you, but whichever variant you go for, the Rocky is a heavyweight in the fight for Best Coffee Grinder For Latte, Macchiato, Cappuccino or anything else you might want to make with it! That’s it! Thanks for reading and enjoy your favorite brew!